A mere 30 minutes drive from Victoria Falls is Botswana and a wildlife paradise consisting of the Chobe National Park, home to some 36 000 elephant and the Savuti Marsh, an area of pristine African savana that was fed by the Savuti Channel that mysteriously dried up when the channel stopped flowing in the ‘80’s. The drying up of the channel was due to the shifting sands which caused the channel to change its course and dry up. 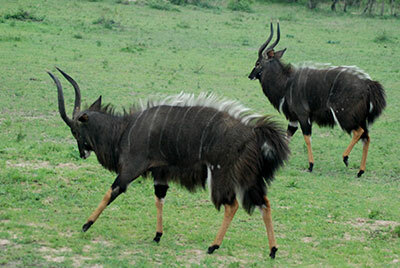 The result being one of the most spectacular game viewing areas on the African continent. 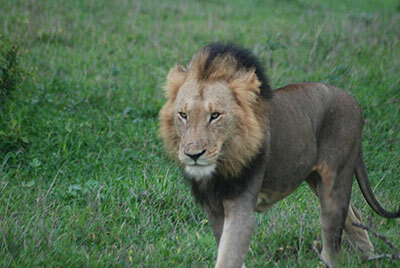 Where Chobe is known for its elephants, Savuti is known for its lions. Just south of Savuti lies the water wonderland of the Moremi Game Reserve. You will wonder at the contract between the dry harshness of the Savuti compared to the green, sub-tropical lush vegetation of Moremi - all in the space of 80 km (50 miles). But, don’t let the distance deceive you. The is over the worst roads Africa can produce and can only be travelled in the most rugged of 4x4’s. After marvelling at the beauty and animal diversity of Moremi, continue onto the oasis of Maun from where you fly by bush plane into the heart of the Okavango Delta. The Okavango Delta must be the 8th wonder of the world. The Delta covers an ara of 15 000 km2 (5 700 sq. miles) and is the world’s largest inland delta. This unique area contains an incredible 95% of all surface water in Botswana and is one of Africa’s prime tourist destinations. Surrounded by the parched Kalahari, this emerald jewel is an immence oasis fed by the flow of the mighty Okavango River which, unlike every other major river in the world, never reaches the sea but dies in the desert sands of northern Botswana. 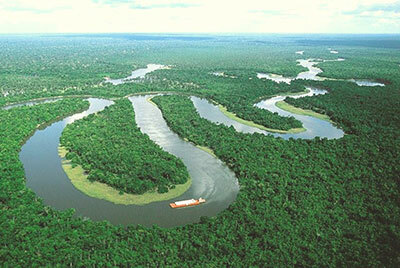 The delta is roughly cone-shaped and is about 175 kms (110 miles) in length from its apex to its base near Maun. It has given rise to a teeming variety of life, sustained by a myriad of seasonally undulating waterways which provide an ideal environment for the plants and animals of the Okavango. 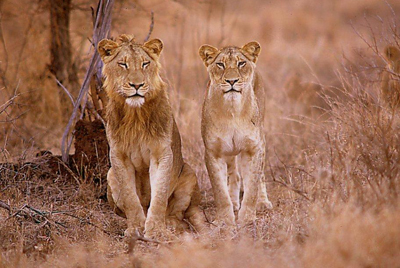 In addition to Africa’s “Big 5” and “Seasonal” Game, you will have the opportunity of seeing the rare and elusive Red Lechwe and the endangered and secretive Sitatunga which is endemic to the swamps and the Eastern Caprivi. The only way of getting into the swamps is by “bush plane” from Maun. Once you are at the Lodge, you will wonder at the level of creature comforts, cuisine and attention to detail of the accommodation, yet the raw African wilderness is around every corner when on a game drive in your 4x4 or around every bend in the river when being poled along the myriad of waterways in your Mokoro (dug-out canoe) by your Yei Ploler. When reluctantly you leave the Okavango, you will leave a part of your soul in this unique, remote part of Africa. 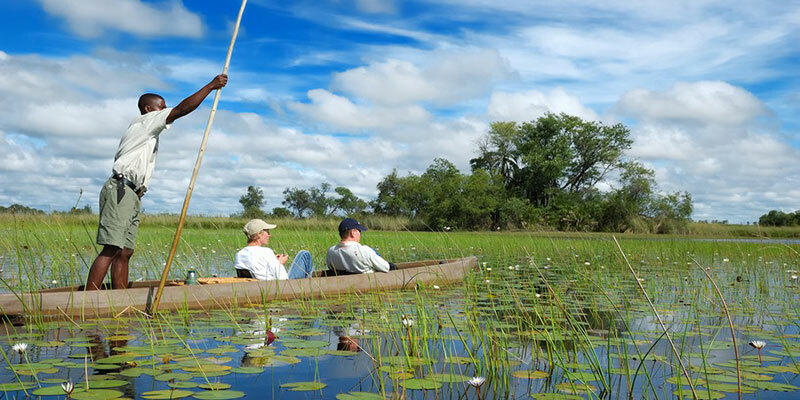 Its little wonder the the Okavango Delta is often referred to as a “Sea of Land - a Land of Water”. Let Dive the Big 5 introduce you to the wonder of Botswana by tailoring a 5 or 6 day overland camping safari in luxury “Maru”, en suite tents through Chobe, Savuti and Moremi - culminating at one of our specially chosen camps in the Okavango Swamps. This is the ideal way to end a Dive the Big 5 Diving Safari!